You are given a maximum space of 100 cm (39.4 inches) wide x 120 cm (42.2 inches) high to mount your poster. It is strongly recommended that the poster be printed on an A0 page (84.1 cm x 118.9 cm) or US Arch E page (36 in x 48 in) in PORTRAIT orientation. The conference organizers will provide supplies necessary for mounting the posters. The poster preparation guidelines apply to both the standard poster sessions and for the student poster session. You can get a copy of the IPAC’19 logo here. Local printing resources are listed here. 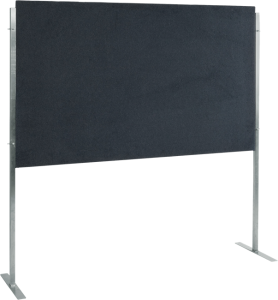 Poster board (200cm/78.7in by 120cm/47.2in) to hold two posters.